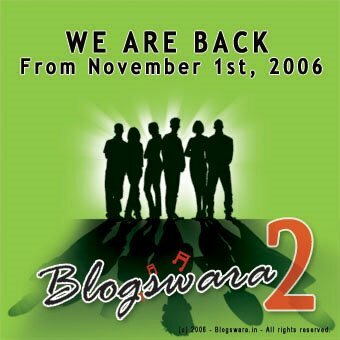 Before entering to my post here is a cool news: The New BlogSwara Version 2 has released today. It has much song singed, composed and written by the Bloggers. Our Jo has composed a song and singed, Narayanan Venkitu has written lyrics for a song Mella Mella... has come out well!! 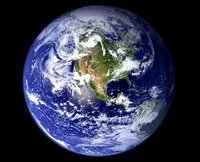 Go here for the Site to listed the songs. 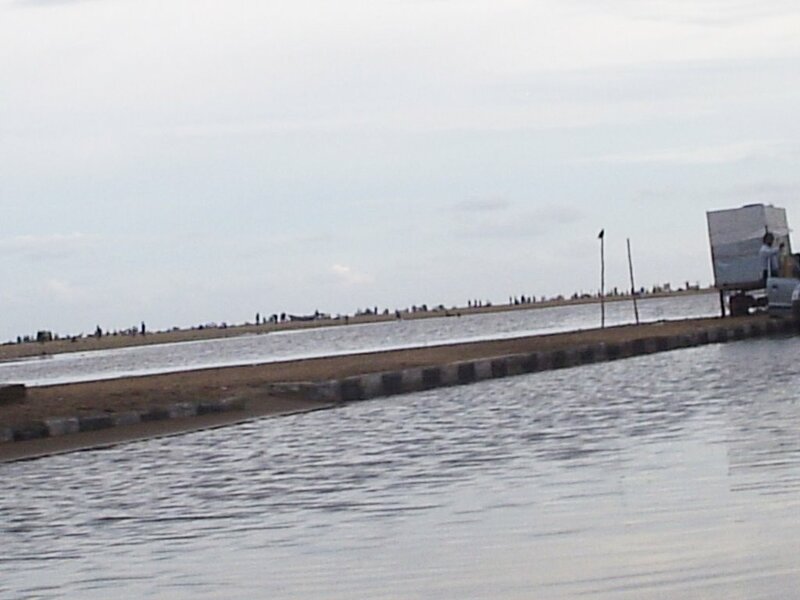 It starts on Thursday evening; chennai receives continues rain for 3 days. It affects much people mostly the people who are staying in low areas faces flooded. In my place, the surroundings are full of water even if we want to buy some thing we have to walk on the feet long water. 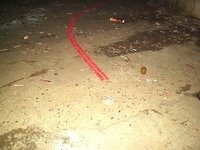 It looks like island, that our only street and flat was mound, we escape from water, but our opposite empty flat have 3 feet water. In the weeklong rain much insect have arrived, and every one come across our compound and enter inside the Flat. After 6 in evening we close our Door and Windows to avoid them entering inside the house. We can see many snails, leeches, millipedes on the compounds and some times caterpillars. As soon the sky darks all the frogs on the water started to freight like ambulance, and hope to see some cranes soon. 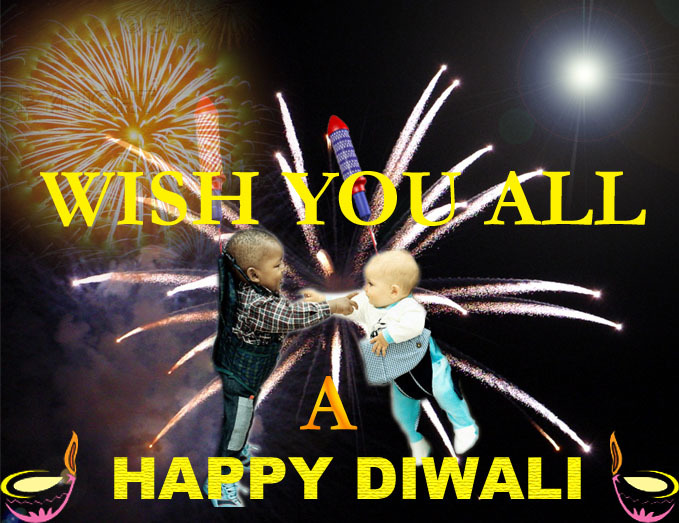 Every year the diwali brings a bore thing of sharing the Diwali sweets with relatives after worshiping the “Nombu”. Some of our relatives brought us diwali sweets and snacks, and now it’s our turn. So mom and aunty prepared Athirasam, Murukku (twine) and Ottaiadai on Friday. I also helped mom by kneading the flour and shaping it round, so she drop it in the oil and fry. In the reason of kneading the sweet flour, I drop some flour inside the mouth, it was very tasty. I am the first person to taste it in bake, after some times if will taste as much. On Sunday dad and mom got ready to visit some of our relatives house to distribute the Diwali sweets. As I was expect to know about the situation of the city in the rain, so I was with them. Actually I was not interested to visit relatives house, as they used to urge to come to their house, I just sit in car and listen to music. The Adyar River was full flow of water, and in a place (Ashok Nagar) there was in a little bit gape to flow above the bridge. On the way return I like to go on the Mount road, its been a while I went on that road, always this road will be over traffic, but on Sunday the road was very quite and clean with little vehicles and much political flags on the side of the roads. 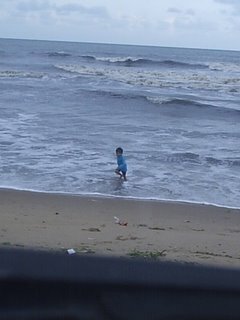 We reached marina beach at 4.30 and the climate was wonderful, I saw new river found on the beach in the rain. 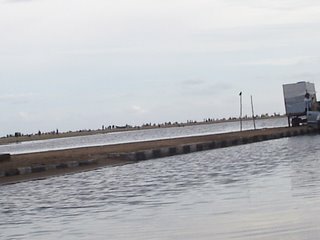 Every year I visit Marina on rainy days to see the rainwater staying on the shore and sand. We had a speed drive on the rainwater; I enjoy going on the water by force. I feel its crazy act; but it was cool that every one turns towards us to see our play in water. Two years back when the whole sand was wet and we droved on the sand till sea, it was my long time wish to ride on the sand of the beach like how it comes in films. Some are bathing on the rainwater and playing. These kids are making fun on the shore with their parents. 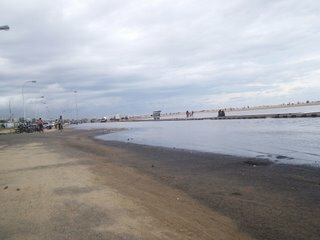 This place is where the ganesh statues were dissolve in the sea, so it’s easy for us to go near the seawater. Today every one was in fear of rain and floods in State, some thinking of how to reach the office. The schools, collages in the state were holiday due to precaution. My net was also problem in the rain for stopping me form blogging. 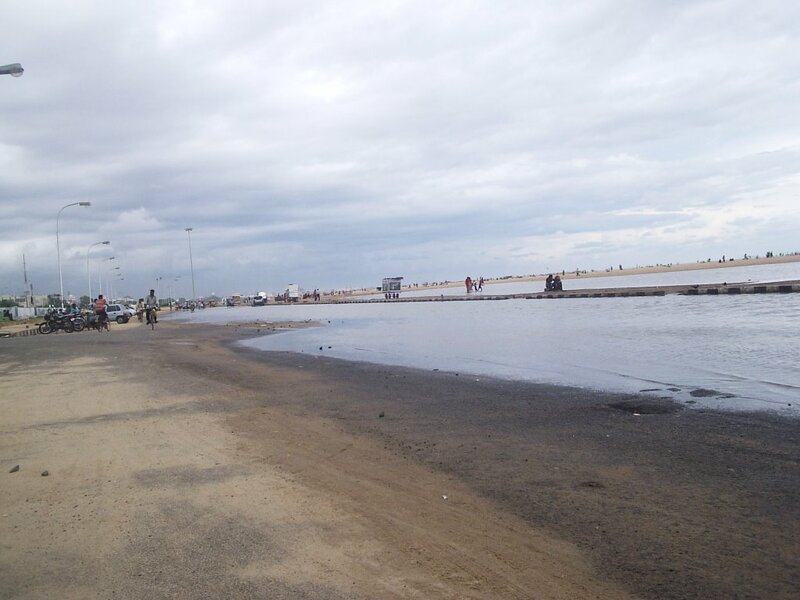 As the Chennai was safe from the cyclone (will face heavy rain, warns govt.) 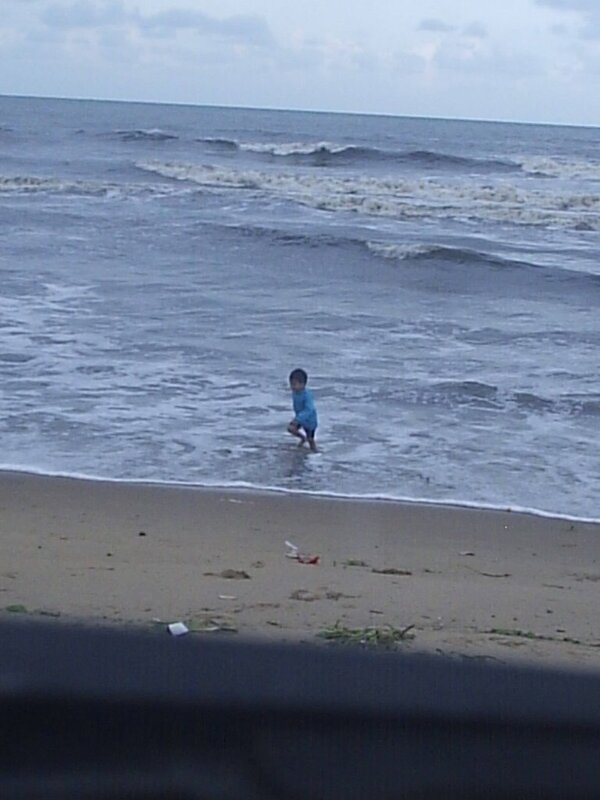 on the Bay of Bengal, here a child was caught by some madness. If a tooth of the dog touches our skin, how do we fear and visit doctor immediately and take medicine, some year’s back we used to inject much injection to avoid the infection of dog bite. But can we imagine 20 dogs bite us in 100 places in our body. Its very cruel know? Its what happen to a 6 year-old. The 2nd STD student Nagarajan, who belongs to the coolest village in Nilagiri distric of Tamil Nadu, was playing ball with his friends on Saturday near his school with out knowing that the dog are going to play with his body. When he was chasing the run over ball, the dog, which was sleeping near started to chase that boy; by seeing a dog chasing the child, many dogs gather and started to chase him and make him fall and start to bite. In the madness, the dogs tasted his flesh by rolling him, the child was not even having strength to shout, and eventhough he shouted in his tiny voice. Before the people notice his voice and dogs bark, the dogs have ripe his body. The people, who arrived, have drive away the dog groups by throwing stones. This incident has gradually affected those minds and makes them angry. The Dogs pieces the child with out leaving a single bit of his uniform. The people carried the child to the Hospital and now he was in ICU with out self-thought (more here). This incident shock the whole state and made us to think of our security. This bring out how the local administration works, what are they doing when the madness dog increased in the area? Just now only the local elections have finished. Every one has promise of dustless streets, good road, proper water supply, light for every street and many developments. Who needs these, when there was no secure for our precious life. Some time back there was a Dog vehicle, where the people in local govt office will come and catch the madness dog and treat them. But nowadays no one cares about dogs roaming on the street. This news was very shocking and can’t even imagine us in that child place and feel his pain. Special in this monsoon season the dog bite patients should be treated carefully; it will be critical if they got any side affect. The government should shift that child to a big hospital, and take care of his treatment, because it’s all of the careless of local govt. 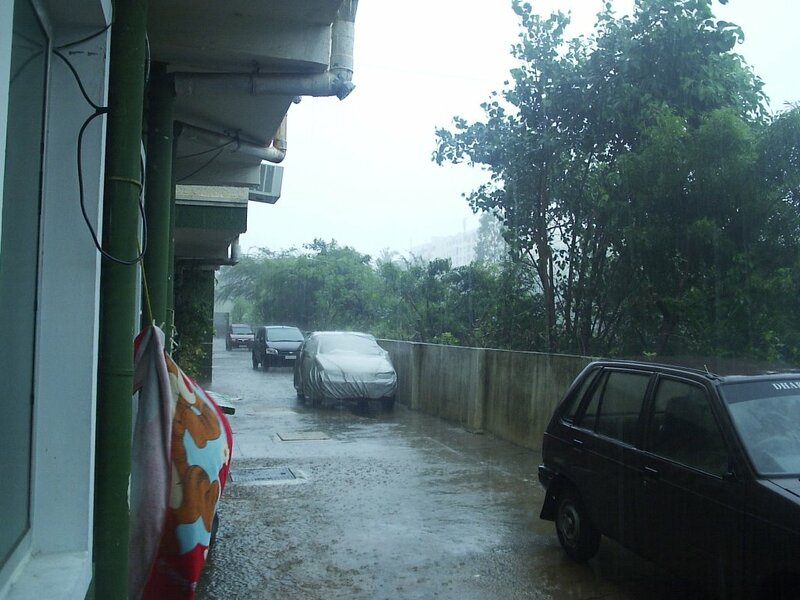 Finally the monsoon has intense in chennai, the climate was very chill and wonderful. It was a new experience to enjoy the rain from this new place, I can directly see the raindrops touching the earth, where else before I used to sit inside the room and only hear the rain sound. And there was also another chill news for chennai. Like how the previous government head by AIADMK leader Jayalalithaan introduced the Toyota Qualis for Chennai Police for patrol operations. 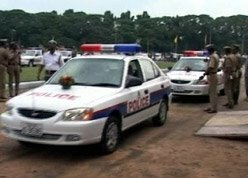 The high speed vehicles for Chennai police continues by the Chief Minister M.Karunanidhi by launching 100 modern and comfort Hyundai Accent Cars for city police. The Hyundai Motor India presented the Cars for Chennai City Police Force. The Cars were fitted with VHF sets, revolving lights, loudspeakers, fire extinguishers and first aid kits. Those cars are soon expected to get digital cameras to catch traffic violations and crime scenes on video. These vehicles will be at the disposal of officials from the ranks of a sub-inspector, inspector and assistant commissioner of that station. It will be allotted to the traffic and law & order wings of the city police and will have necessary high-tech gadgets on the lines of the ones in developed countries. 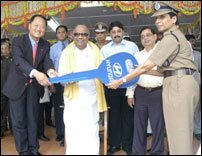 The HMIL Managing Director handed over the Key’s to Chief Minister M Karunanidhi in the launching function. The people who are going to break the rules in future should be ready to face those Super cars, so now onwards think twice before you decide to break the speed limit and against the rules. 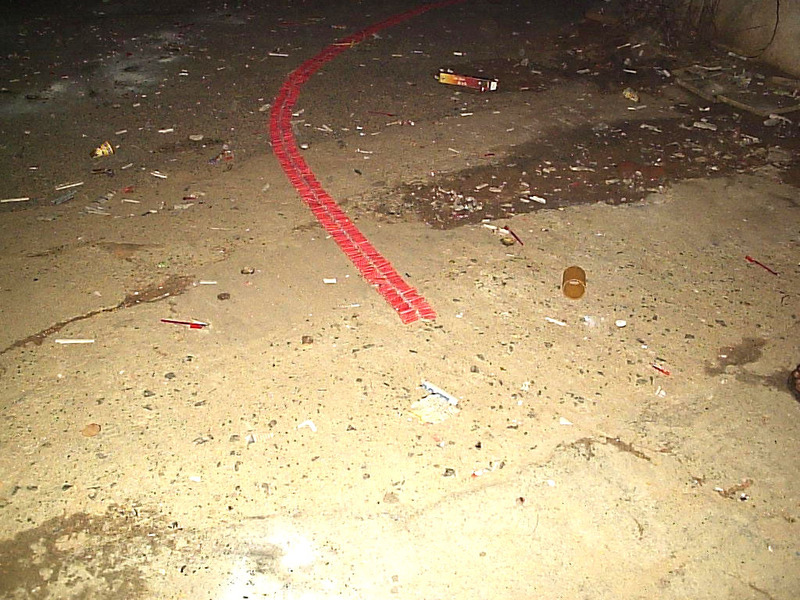 The moment the control room receives calls, the car nearest to the area, will be dispatched to tackle the problem by less than three minutes. 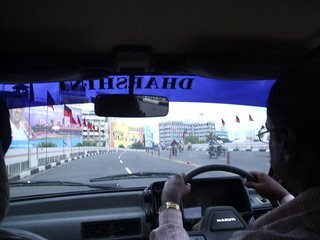 Chennai was the first city in India to have comfort passenger cars for Police Patrol like Foreign Countries. 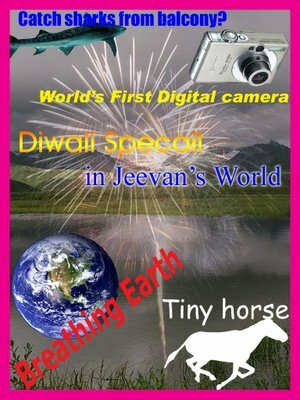 My favorite festival of Lights Diwali was not bad, I enjoy as much. 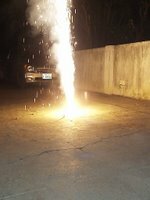 I have been to my old house a day before Diwali, had exchanged diwali wishes with my uncle’s workshop friends and call my cousin for Diwali. Next we went to the Besant nagar Beach to watch sky amuse of Firecrackers, but rarely saw some. On Saturday wake up not early only after 7.30 and get ready by 8.30 to watch special programs on TV. I was excite to watch the new songs, which I hear in recent days. The Trisha’s interview with models was cool. Think already most of the young people have cut a line in there whiskers like Simbu in the Vallavan, let we can see the increase of this style in young soon like my brother! It was continue till Vijay’s interview with children, by eating specials food and my favorite Gulabjamun with by cousin. We left out by 6.30pm to burst crackers. 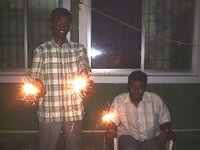 There were non-to join with us to burst crackers, every one enjoys on their own, some when to their terrace and some left to their homeland. 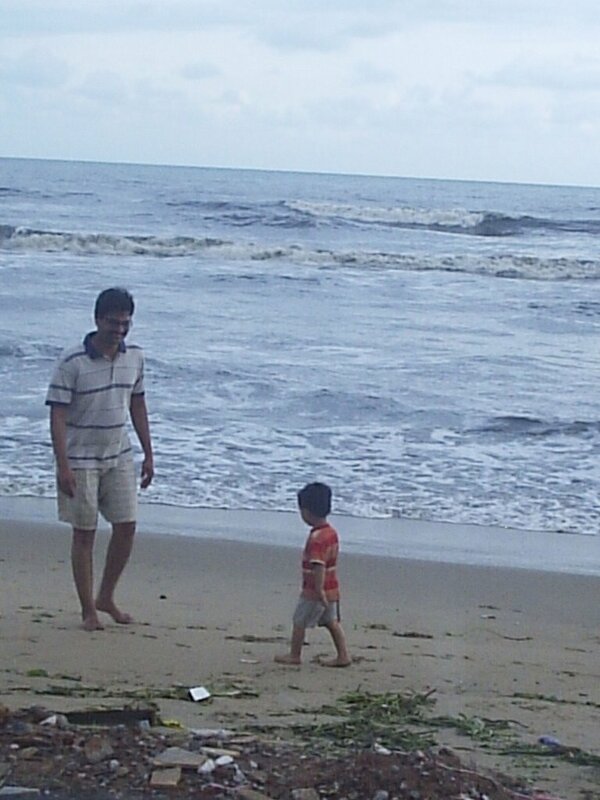 So cousin, dad &mom where with me, we left Walas, Outs and little sound crackers. 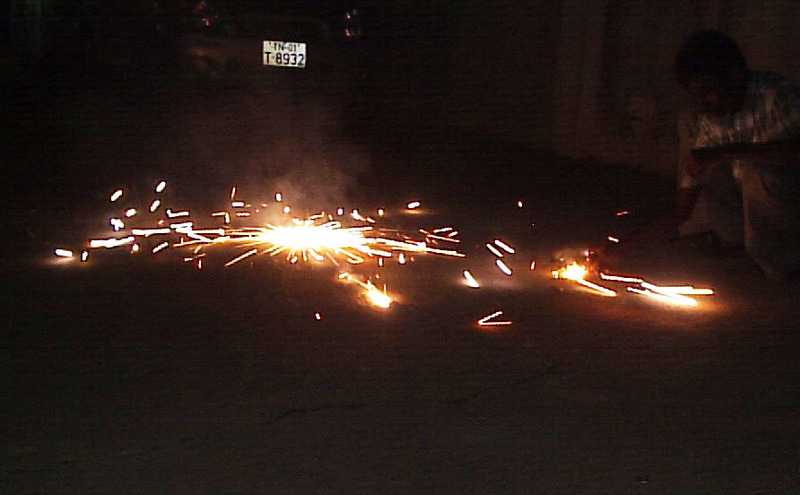 Cousin was disappointed there were no explosions to make the place much paper. 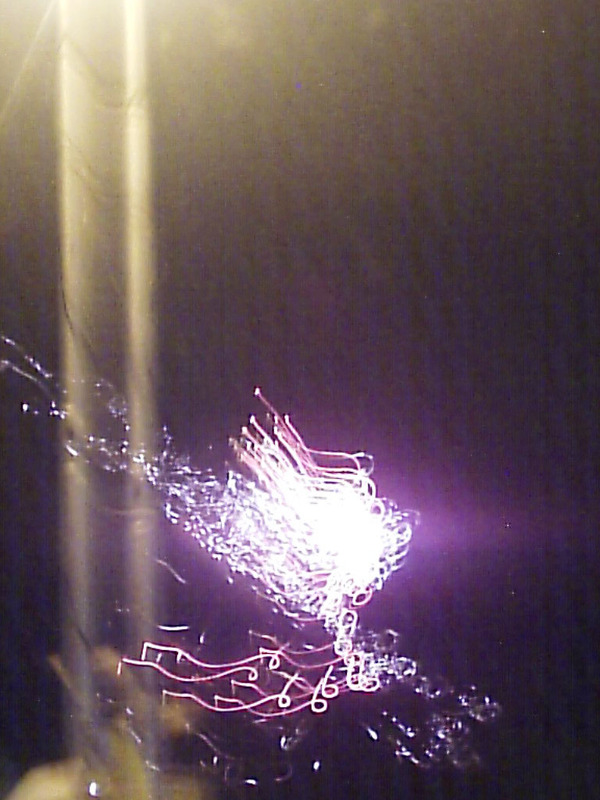 There were been continue colorful sky fireworks coming form the near multistoried buildings and bungalows. I don’t like to sit inside the house and watch TV when the city was lighting by the crackers, so went to Beach at 9.pm and watching the sky till 10 the govt’s time for bursting crackers. The beach was less crowd think people who cant buy the costly sky fireworks, where their to enjoy it. Like how I feel happy on diwali, on Sunday I feel alone and very bored not even interest to see Computer or TV. I won’t like to be alone on Sundays, if there was bore film I visit the chat on net, but this Sunday non-was on line and the film was also bore. So again asked dad to take me out, where to go? the same beach, but Sunday the beach was much crowded. I had a doubt is that a beach or an exhibition because many people where coming in mini bus and autos, there were many small small food shops has grown on the shore. Been there for some time and left home and slept early. Deepavali is near; we can hear the bomb sounds in every corner in the evenings and night. Every shopping malls are fully occupied by peoples wave, the shoppers went to the high of discounts, the television are full of cloths and domestic thing AD’s. People started greeting there loved ones, even we also started to greet each other’s. Cinema fans are advancing booking to their favorite movies; the television channels are in front to give us different programs. 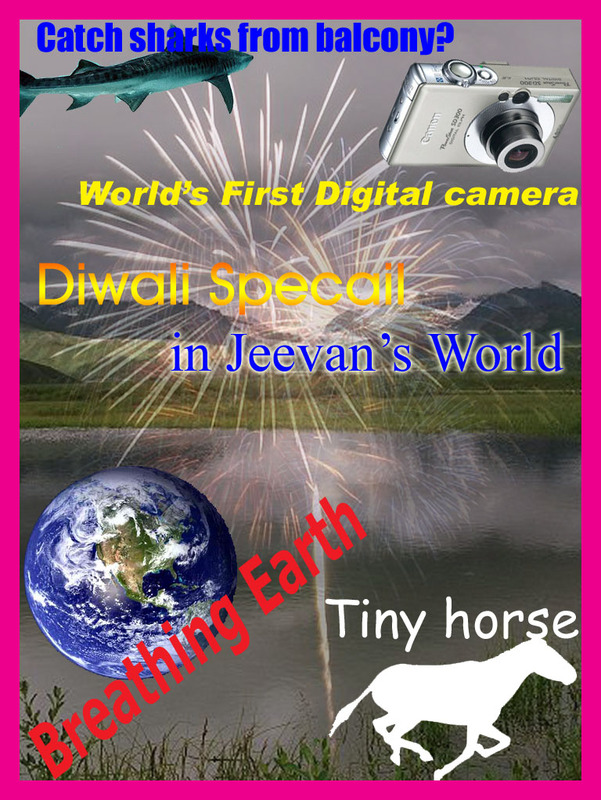 As the festival was in weekends there must be much plans how to celebrate the diwali. I too have decided to visit the beach a night before the diwali to watch the firework on the sky. 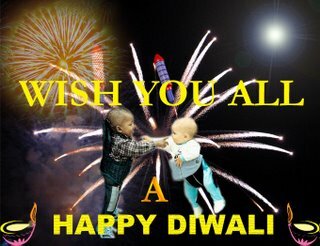 This is the first time I am going to celebrate diwali in a flat, let me see if some neighbor people will also join with us! 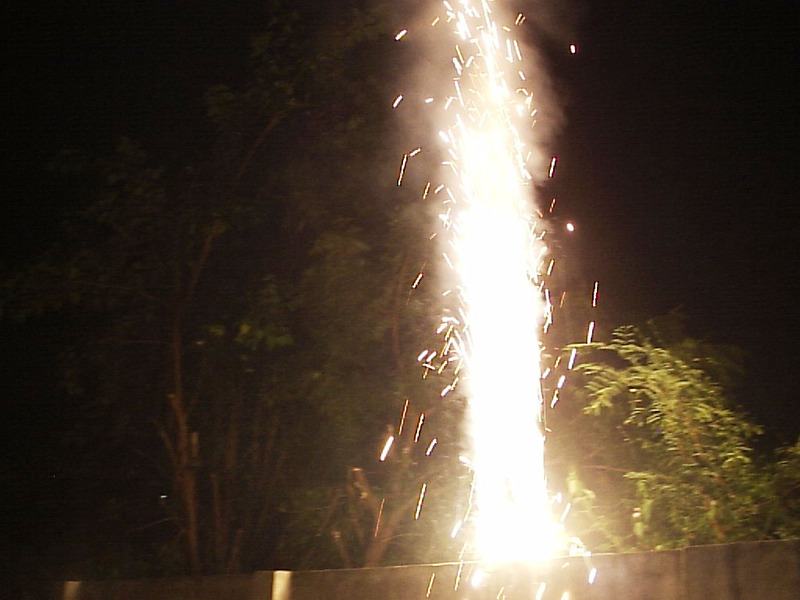 I like to recall my childhood memories of diwali, think I was in UKG or in 1st Std when I realize the diwali. I used to sit in front of the cycle and dad pedal me with him to the nearest cracker shop; it’s not a shop, a palm leaf tent where an old woman used to sale Clay pots, when ever I leave from school I used go inside the tent and come out on the other side to reach our street easily, she will not scold me, because mom will buy pot form her. Dad buys me only small crackers like flowerpot, changu charka, wire sparkles and needle crackers. I just carry the small cover happily to the home and used to arrange the crackers in our cupboard near my dress, mom used to warn me not to keep near the cloths, but who hear her, At least 5 to 6 times I will arrange the crackers every day. Those days I don’t have any friend’s or brothers (my bro was 1 year old that time), so no one to fight with me to pick the crackers from me. The recently launched Breathing Earth.net shows in 'real-time' people being born, dying and the amount of carbon being emitted using the most up-to-date data available. You can also find facts about each country by hovering over them. Standing just 17 inches tall, she is never going to be a champion show-jumper.In fact, the tiny mare is so small she would struggle to leap over a bucket. 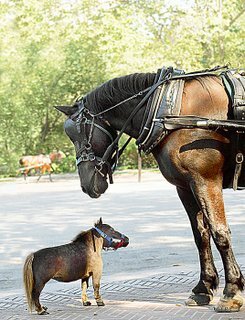 But such things are of little concern for feisty Thumbelina who has just been officially recognized as the world's smallest horse. The five-year-old received the title from the Guinness Book of Records after her astonished owners realized she was never going to grow any bigger. She was born on a farm in America to a couple that specializes in breeding miniature horses. These popular show horses usually weigh about 250lb and reach a height of 34 inches when they are fully grown. At birth she weighed 8lb - the weight of many newborn babies - and eventually she grew to a mere 60lb. Because her legs are proportionally smaller than her body and her head, she has to wear orthopedic fittings to straighten them a lot of the time. She expects to live up to the age of 17 instead of 35 years of normal horse. The tiny mare has become sometime of a celebrity in her hometown in America. October 7, 2005 has marks the 30th anniversary of the one of the hottest consumer electronic products in the world today the digital camera. In 1975, the world’s first digital photograph was taken at a Kodak lab in Rochester, NY, USA, in an event that preceded the Compact Disc, the Personal Computer and the Internet. In 1974 Steven Sasson, an engineer at Kodak’s Applied Electronics Research Center, was tasked with devising an electronic handheld still camera. 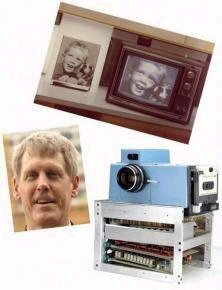 The following year his first working prototype weighing 8.5 pounds, powered by 16 AA batteries and recording images on a cassette took the first ever-digital still camera photograph. That’s Steve, the world’s first digital camera and the world’s first ever-digital photograph on the picture above. 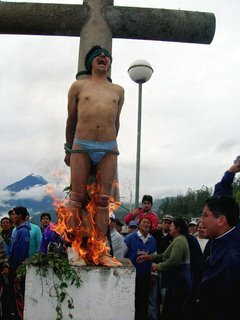 A suspected thief screams as villagers set fire to his legs after stripping him and tying him to a cross in Pelileo Grande, Ecuador, 75 miles south of Quito. Mario Quishpe had been caught stealing and locals took summary justice. A priest, along with other villagers, extinguished the flames and he was taken to hospital where his burns were treated. They say everything is big in Texas, but when compared to Dubai, the Longhorn state is a midget. Courtesy of the emirate, we have seen the world's biggest theme park, shopping malls and even indoor artificial ski fields. Now comes the Middle East's largest billboard ad. 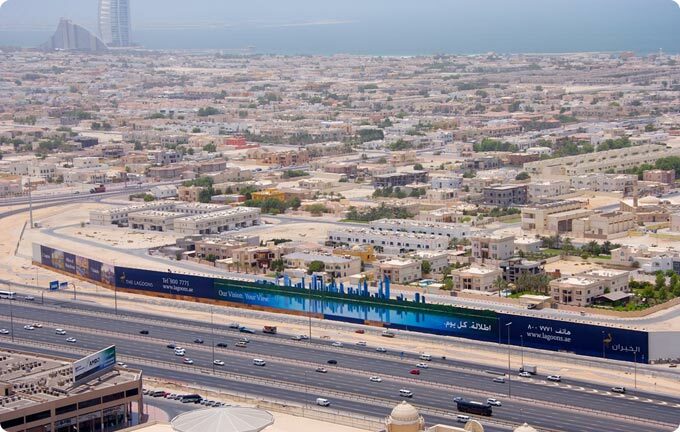 Weighing in at a whopping 400 meters long and standing 20 meters high at its highest point, the billboard is promoting one of the cities development projects named 'The Lagoons’. Using the more than 2,880 hours of manpower, the billboard is positioned in a marketing traffic gold mine on the infamous Sheikh Zayed Road. Our President, A.P.J. 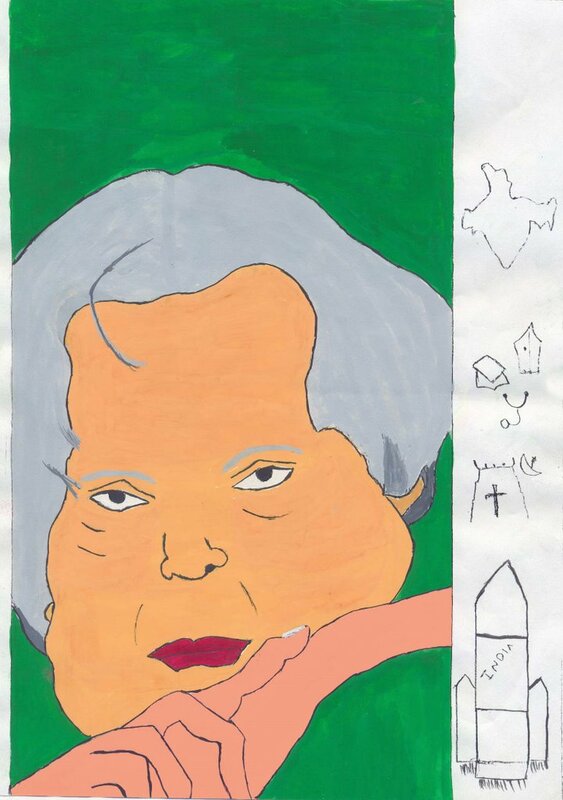 Abdul Kalam, celebrating his 75th birthday Today. Let we all Wish him and bless to live long, To encourage our Children and Youth. 1. Are you happy / satisfied with your blog, with its content and look? I am not happy, but very very happy to be here with my friends. This template looks better to my eyes and the words on the side are in my favorite rose color, so I chose this. I have tried to change new template, but dint, because if some thing goes wrong and if my blog didn’t open what can I do. Yes much of them know, but no one will visit except my cousin bro. I used to tell my mom that I wrote about this and some times I show her my friends blog if they did any thing new and different. 3. Do u feel embarrassed t let your friends know about your blog or you just consider it as a private thing? Why should I think like this when all my friends are bloggers! 4. Did blogs cause positive changes in your thoughts? Lot!! Some times when I write negative feels about my health and chaos, my friends encourage me that we are here for u, don’t feel dear. Many blogs made me think positive. 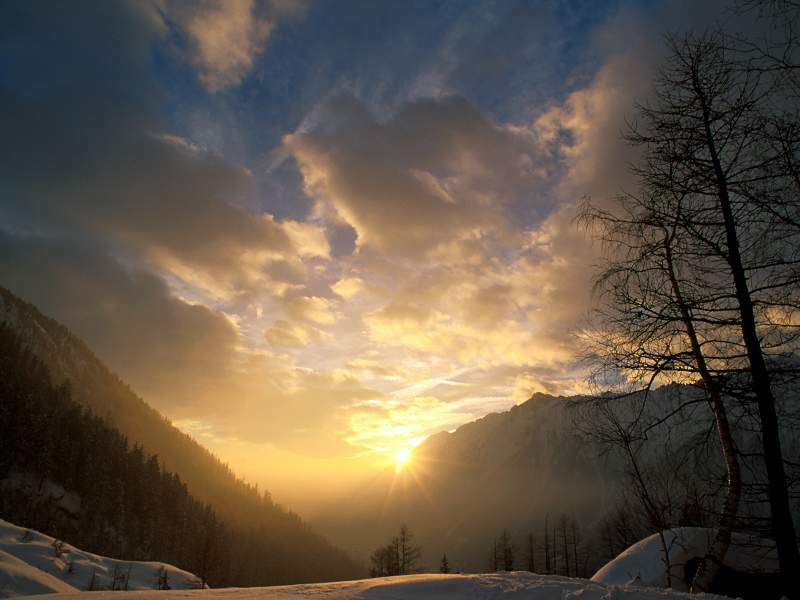 I can tell I have much changes in my thoughts, I try to write poem only after entering blog. 5. Do you only open the blogs of those who comment on your blog or you love to go and discover more by yourself? 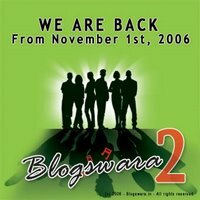 If a new blogger visit my blog and put comment, I will go there and thank them for dropping. If I feel there blog is very entertainment and interesting sure will continue reading their blog. If I get free time after reading my regular bloggers, I will search. 6. What does visitors counter mean to you? Do you care about putting it in your blog? I don’t care about it, is increase or stay on the same number. Just being in a corner of my blog. 7. Did you try to imagine your fellow bloggers and give them real pictures? Why not! I have imagined some of them in my mind; I don’t know really how they will look. Will I satisfy with my imagination when I see them, or they will look much better than my imagine, esp. I have a imagine of my dears Visithra, Uma and Smiley, that, they will look like this, let me hope one day will see them and conform. What surprises me was my Friend Arjuna; I have imagined him by reading his blog that he will look little dark, but he was totally different form my imagination. When he told me to find him I wrongly found Aatma as him. I think Keshi matches my imagine, but not fully I should tell she overtake mine. 8. Admit. Do you think there is a real benefit for blogging? Yes!! There are benefits for bloggers, to share our happiest and saddest movement in our life; by reading blogs we can develop our readings and writings. Blogging is a world where we share our thoughts and discuss with people who are in next-door and milesssss ago. 9. Do you think that bloggers society is isolated from real world or interacts with events? I don’t think like that! Blogging is a part of our life or world, for me it’s species because I got friends in this society. 10. Does criticism annoy you or do you feel it’s a normal thing? No! I like politics. I follow Our President’s way; he only said youth should come to politics and learn politics. 12. Did you get shocked by the arrest of some bloggers? I was shocked when the blog’s from India was blocked by govt. 13. Did you think about what will happen to your blog after you die? Hope some one (they can be my parents, friends, or my cousins) will continue my blog. Recently I went to a blog, where a mother continues his son’s blog with the memories of him, who lost his life last year. 14. What do you like to hear? What’s the song you might like to put a link to in your blog? I like to hear Soft melodies songs. I like to link the songs Poovukul olinthu irukum…. form Jeans, and Dating song form Tamil film Boys. I like all video songs form Kathy and Keshi’s blog. my eyes to darkness for seconds. Crossover our head by giving fare. Calls her buddy to spend evening a playful. Is one a more entertainment to the evening. With a ball and her hair. Next UN secretary-general is BAN!! It was like an Olympic race. What mattered was participation, not winning! For a political lightweight, India’s Shashi Tharoor put up a commendable performance. Pitted against him were foreign ministers who had brokered deals and negotiated truces. Compared to them, he was not even a diplomat, but just an international civil servant. Yet India backed him, despite misgivings form a large section of diplomats and foreign policy expert. To them his candidature had come as a surprise, and his defeat a foregone conclusion. But the real surprise was that he got 10 encouraging votes managed to stay in the race till about the end, improving his chances with each straw poll. What got him out was three discourage vote cast by the big five. Who is the main to vote against India? Is a big question… There was news around that has pointed the finger at US. The evidence against the US is a statement made by John Boltin, its permanent representative to the UN that the US did not want another insider. 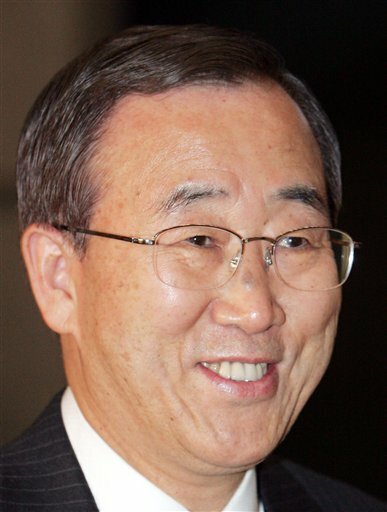 The surprise here was South Korean Foreign Minister Ban Ki-Moon who got 14 votes in the final straw poll and not get any 'discouraging votes, is set to occupy the hot seat on the 38th floor of the UN building in the New York in December. The 62-year-old soft-spoken, mild-mannered has vowed to bring in reforms and to play an active role in trying to persuade North Korea to scrape its nuclear weapons program. Ban is expected to emerge with fresh announcement to conduct nuclear test indicates the challenge a head. There was some fault on Ban’s human rights record for refusing to grant the Dalai Lama a visa to visit South Korea. The western media’s reports that the Seoul govt. had tried to buy the UN post by increasing aid to Tanzania and Greece has put him in a bad light, but Ban refuses these are groundless. The diplomat has a degree in international relation and masters in public administration form the John F.Kennedy school of Govt. at Harvard University. As a teenager, he reveled his desire to be a diplomat when he met president Kennedy at the White House. When Ban takes over, he will be the first Asian to lead the UN since Burmese U.Thant. I amuse on your shy, and fainted. I changed my young impudence, because of u.
I made love with u today. Which which one! Which which one! What ever I can tell. This was that! This was that! Our love will live in our friendship. U showed me a time. You babble with me, without sleeping. I will run run inside and live. Forever I am with Love! As I was thinking about Gandhi Sacrifice to our Nation. I thought in today’s world, is their any one who wills sacrifices their life for others? See…. How stupid am I to think like this, having two persons in my house who sacrifice their life for me. Hum I am telling about my mom and dad. You can ask, why suddenly thought about your parents sacrifice now! They are sacrificing much in their life for me from when I born to till now. But in the recent days I realize their pain of handling me, esp. the last 2 months. By the unexpected accident to my dad in august makes the situation worst, as he needs more rest to get cure form the wound, mom is the only person who handling me alone. It was 2 months gone even though dad dint recover fully, after a month only doctors found a minor fracture in his knee and warned not to do heavy works and take rest as possible. Can anyone imagine, a 40+-aged women taking care of 21-year-old boy, helping for his daily activities and also doing the house works. She suffers form body and joint pain, because of handling me. As dad was like that, she can’t expect him to help her, so hiding her pain form us she take care every thing. Some times she suffer more pain and it sent her to take rest, so on those times, I can’t disturb her, so I will be quite and make her comfort that I don’t need any help form her on the movement. 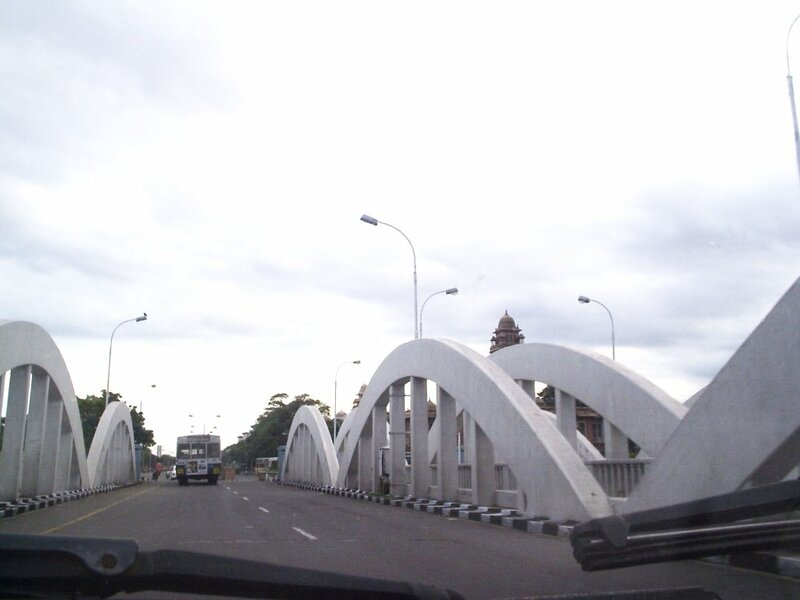 Before dad was involve in accident, he used to handle half of my activities, but now all my works have done my mom. Any son will like to give his parents stretch and pain, except me, what to do, I have no way of living with out their hard work; when the children taking care of their parents wish, in my life parents taking care of my wishes. I realize some of my activities have face down in the recent days, last time I feel happy that I have walked little without caliper, now its was totally affected, if I try to put the feet the balance makes me to fall. The wheelchair gives hand to move without the caliper. I don’t know how to express my worries to others; this blogging has come up with kind hearts to hear my worries. To me they are the really Gandhi’s, who can guess, when the will get freedom form me. They sacrifice their Strengths, energies, wishes, happiness ect… In this world parents only worry about there children’s, even one (relatives, well-wishers, friends….) have their own family, they have to work for them, we cant expect others to help every time, the one and only parents will help our full life. I can live with hopes till my parents support me, after them who will support and take care me, is a trillion????? I pray they should get more strengths and energy (soon a freedom form me). The term Father of the Nation is used in many countries to describe a political or symbolic leader seen as a founding father of the nation. He may also be key figure in the nation's history whose heroism and moral authority make him a source of patriotic inspiration and worthy of respect. His image is often elevated to that of a national symbol and is likely to be featured on items such as banknotes and stamps. 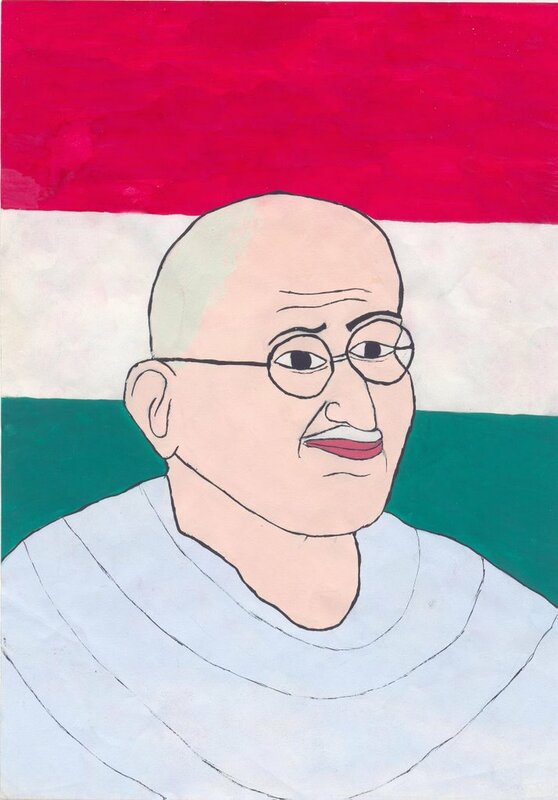 India's Father of the Nation is Mahatma Gandhi. Gandhi born on October 2, 1869, into an average family, in an obscure town near Bombay, India. He was the sixth and youngest child of the family. At the age of 13 he was married to Kasturbai, who was the same age. His father who served as a Diwan, died when Gandhiji was in high school. He was the first person in his family to complete a high school education. By the advice form family member, he arrived London and completed his law course and London Matriculation Examination. After returning to India in 1891, he received an offer to assist a senior lawyer in South Africa for a year, which he accepted and left India in 1893. While Gandhi traveling from Durban to Johannesburg (South Africa) in 1st Class, Gandhij was thrown out of the train when he refused to move to 3rd class. This incident compelled him not only to think of fellow black people and also the voice of oppressed Indians. 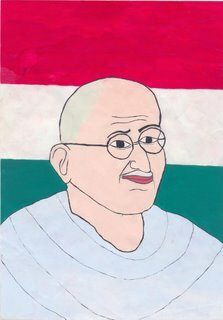 At 35, Gandhij conceived a new weapon called Satyagraha, which became the voice of millions who saw in him the fulfillment of their dream for an independent nation. Is there a title "Mother of the Nation"? Yes, but unlike its male equivalent it has seen only occasional use, primarily due to the male dominated history of nation building. However, there are a few examples: England - Queen Elizabeth, the Queen Mother; Finland - Tarja Halonen; New Zealand - Judy Bailey; Guyana - Janet Jagan ; Zimbabwe - Sally Mugabe ; Wales -.Katheryn of Berian; Pakis tan - Fatima Jinnah; South Africa - Winnie Mandela.